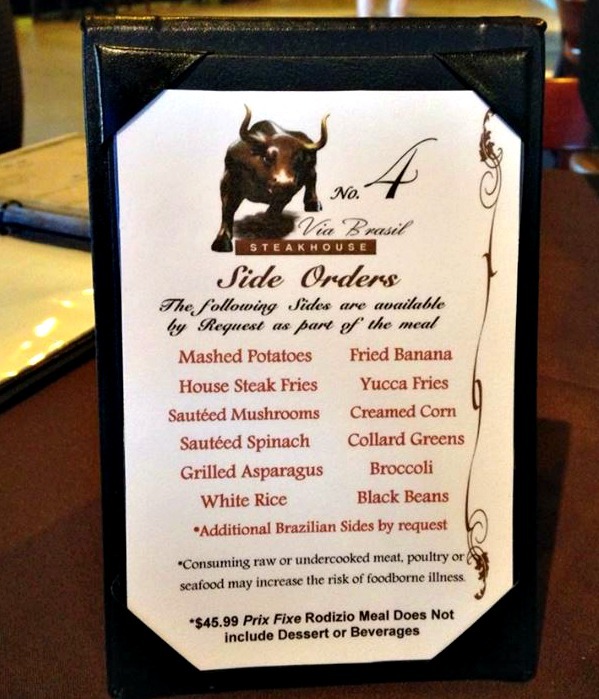 My husband and I recently had the pleasure of dining at Via Brasil Steakhouse in the Summerlin area of Las Vegas. 1. All you can eat lobster bisque: the salad and appetizer bar at Via Brasil is one of the best I've ever seen. 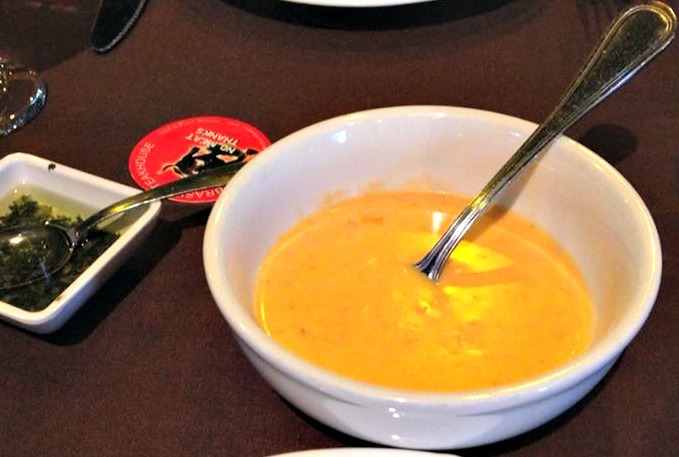 Aside from the delectable cold salads, cheeses, and meats, the bar also offers lobster bisque. My husband and I are lobster bisque connoisseurs and we both agreed that Via Brasil offers a great lobster bisque. 2. Meat, meat and more meat: Oh my – 18 different meats! I don't think we got past 9 of them. We had pork, chicken, sausage, and about three different cuts of beef including bacon wrapped filet. 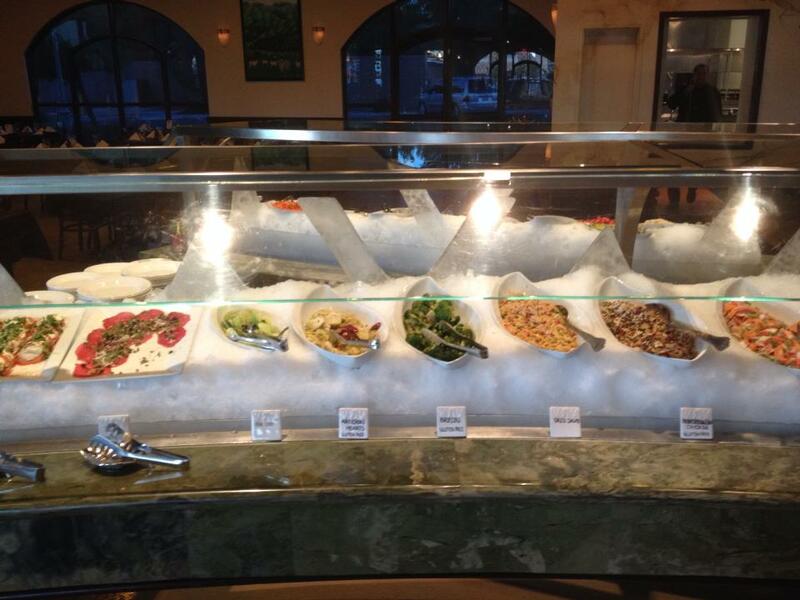 But seriously, even if you aren't a huge meat eater, see #1 above because the salad bar alone is enough for dinner. 3. Authentic Brazilian Dishes: Via Brasil offers almost as many side dishes as they do meats. They do offer the standard broccoli, fries, and sauteed spinach, but they also authentic Brazilian side dishes – you just have to ask! My husband and I decided to go authentic Brazilian and with the help of our amazing waiter, picked out fried bananas, black beans, Yucca fries, and feijoa tropeiro as our side dishes. 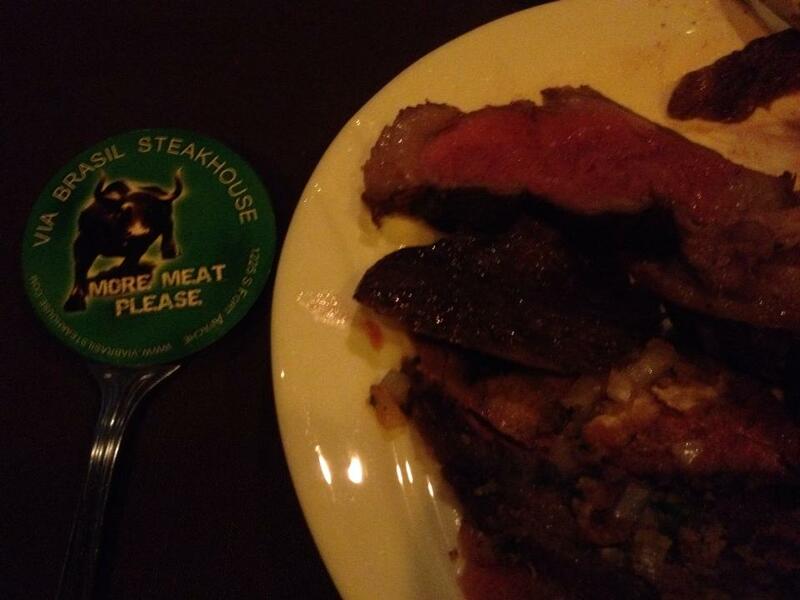 We loved having an authentic meal, but I also love that even non-adventurous eaters can find traditional steak house side dishes. 4. A Gorgeous Atmosphere with Wonderful Service: I love a nice restaurant especially if the food is higher end. Via Brasil offers a very elegant, yet laid back, atmosphere. 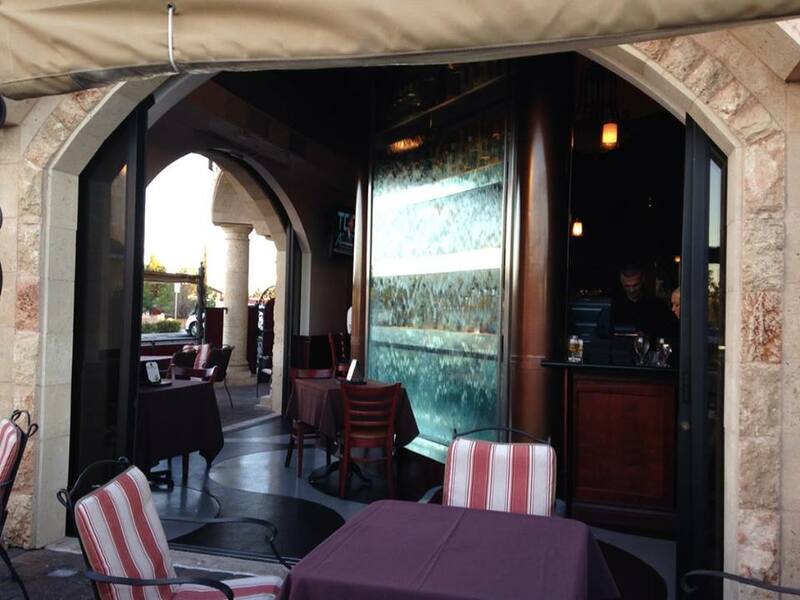 There are several different water features in the dining and bar areas that add to the ambiance. The service was amazing. Our waiter along with the meat servers kept our plates and glasses full to the brim. 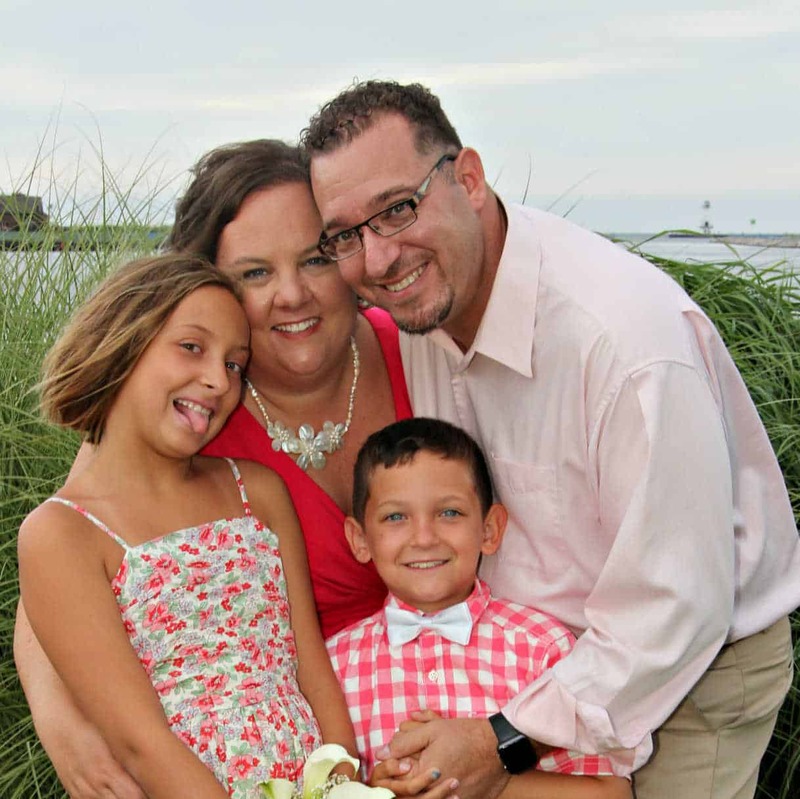 They all helped by answering questions and making sure our experience was top notch. But don't take my word for it – go and eat! 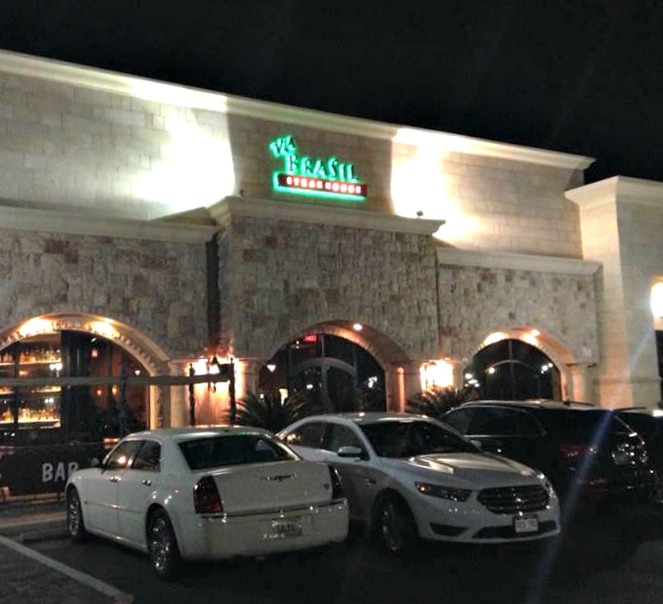 Via Brasil will be serving their full rodizio menu on New Year's Eve from 4-9 P.M. Then, from 10 P.M. – 1 A.M. will be their annual NYE party including dinner, dancing and more! 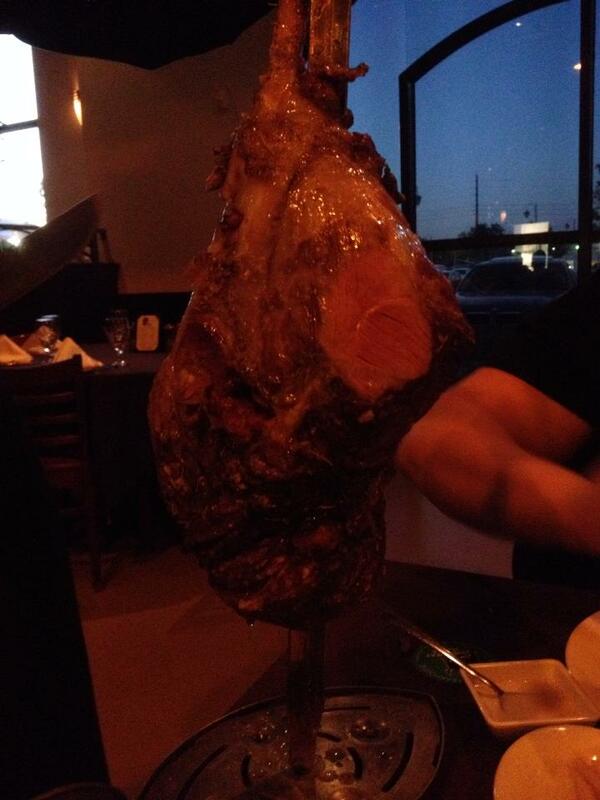 Via Brasil is located at 1225 South Fort Apache Road, Las Vegas, Nevada. 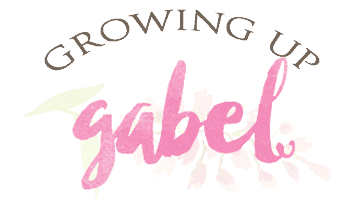 You can follow them on Facebook, too!